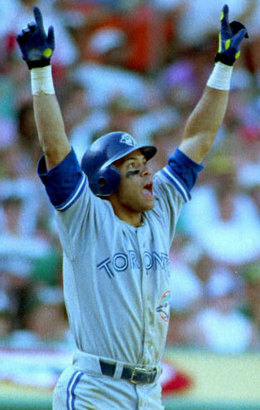 By now, it is no longer news that Roberto Alomar was elected in his 2nd year of eligibility to National Baseball Hall of Fame this year. Alomar’s stellar career included 12 All Star games, 10 Gold Gloves, 2 World Series titles and one really ugly spitting incident. For those unfamiliar, the incident took place in 1996 when Alomar took exception to a called third strike by umpire John Hirschbeck. Amidst a heated argument Alomar spat in the umpire’s face. In fact, the spitting fiasco is believed to be why Alomar did not get elected in his first year of Cooperstown eligibility. However, while it was once and ugly blotch on Alomar’s career it has now been turned into something constructive. The next season Hirschbeck and Alomar publicly made up. In the years to follow, the two have become friends and joined together in the name of charity. While their charitable work has gone largely unnoticed by the general public, at least one high profile observer has taken note.... the Hall of Fame. “As everyone is aware, the National Baseball Hall of Fame is a musuem that chronicles baseball history. In recent years we have stepped up efforts to more accurately reflect that mission,” said Hall of Fame Chairman Jane Forbes Clark. It would be easy for one to assume she is talking about an asterisk or making note of the spitting on his plaque. It is not far fetched as many people have suggested doing so on plaques of known steroid users should one ever be elected. But how does the newly elected Hall of Famer feel about it? Pretty good actually. “A lot of people don’t know this, but John [Hirschbeck] and I have become really good friends. In fact, he was one of the first people to call to congratulate me once I was elected,” Alomar said. Hirschbeck could not be reached for comment at the time of this publishing. However, a representative of his has said he is very excited and has promised to be first in line to get “spit on” by Alomar’s plaque at the induction ceremony. As for the Hall of Fame, this might just be the beginning. Turns out they have may have some other ideas but Clark is refusing to divulge much.